MK Yariv Levin spearheads bill to commemorate Menachem Begin, similar to David Ben-Gurion and Yitzhak Rabin. Coalition Chairman MK Yariv Levin (Likud-Beytenu) will propose to the Knesset Friday a bill introducing a national memorial day for former Prime Minister Menachem Begin. The bill calls for memorial events to be held on 4 Adar, the anniversary of Menachem Begin's death. A National Memorial Service would be held near the Mount of Olives Cemetery and in schools across the country; army bases would also dedicate a day of special events and classes commemorating Begin's legacy. MK Levin elaborated to Yisrael HaYom, "[Israel] should enact a special law to commemorate Begin, due to the legacy he left - his activities before Israel's independence as a leader of the underground Etzel movement, for his role later as the leader of the opposition, and for his six-year term as Prime Minister, which led to the signing of a peace agreement with Egypt." National Memorial days have already been enacted for Prime Minister David Ben-Gurion, the first Prime Minister of Israel, and Prime Minister Yitzhak Rabin, who was killed in 1995. However, Levin emphasized that a day for Begin has been long overdue - due to the exceptional role he played throughout Israel's history. "[Begin] took part in the struggle for independence of the state, contributed to and strengthened the democratic foundations of the state, set the principles preventing civil war, broke down social barriers, and united the Jewish people," Levin stated. "I think his name should be etched in the history of the country as one of the greatest leaders of the Jewish people in the 20th century." 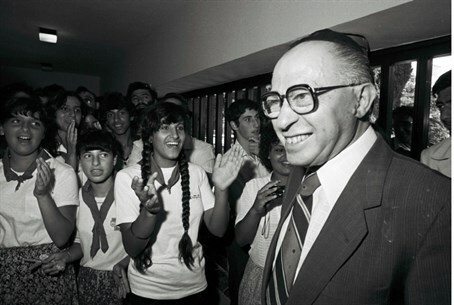 Levin first decided to introduce the bill several months ago, when Begin's 100th birthday was celebrated across Israel. "I thought that it was proper that Israel should hold these events every year - not just once for a special occasion," he explained. Levin expects the Ministerial Cabinet for Legislation, and later the Knesset, to pass the bill.